This device is designed for dosing and closing of grease in polyethylene bags. Working principle: pre-cut polyethylene sleeve is used for the bag. 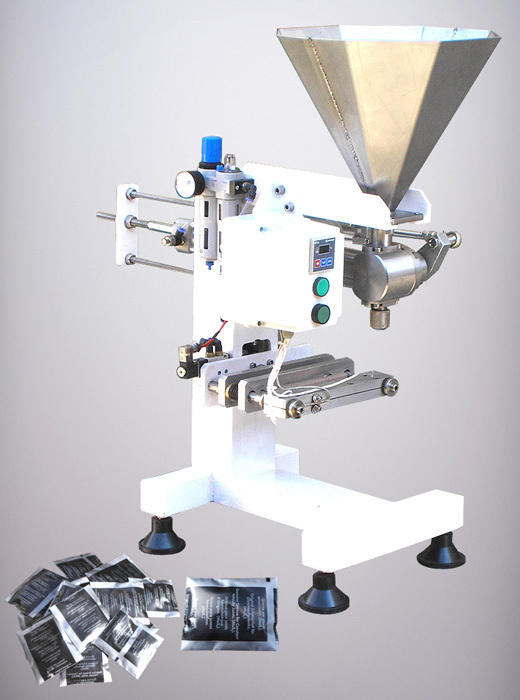 Making the bottom through a bonding jaw, filling the bag by a dosing mechanism and bonding.